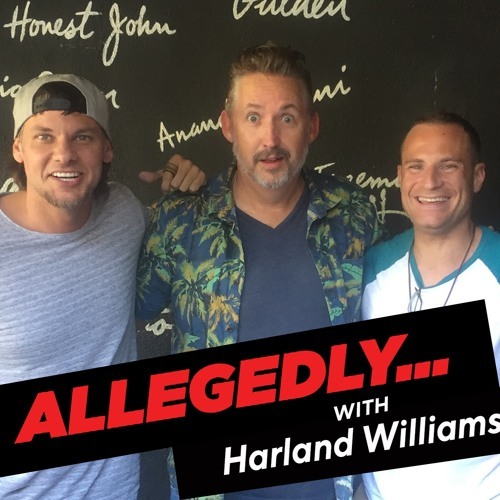 The Original Rocket Man Harland Williams is on this weeks episode of Allegedly! Sharing crazy stories about his traveling bat show, beef stroganoff time capsule and the secret to affection is Tommy the Tapeworm! This is a wild 58 minutes so get ready and HOLD ON TIGHT! Also Matt and Theo discuss if anyone has ever REALLY masturbated to Hillary Clinton!? And a tongue-tied final round! FIND OUT WHO WINS! LISTEN, RATE, REVIEW!